Supercharged HEMI Barracuda at Street Car Shootout! Owned by the same person for over 30 years this Plymouth Barracuda has been with various set ups and competed in different classes and events. 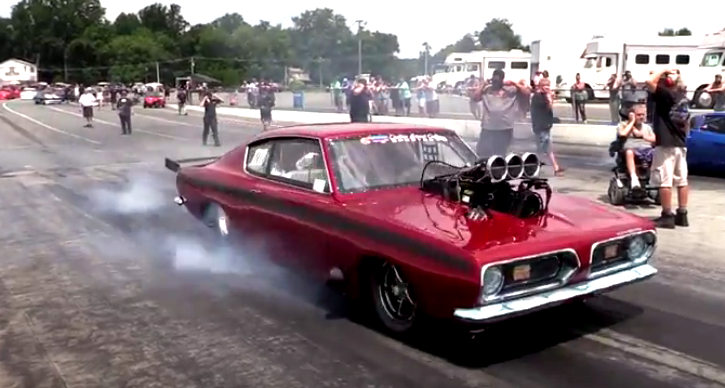 Now this Mopar sports a 500 cubic inch HEMI motor topped with a huge 18-71 blower producing tons of horsepower. The supercharged Barracuda does move pretty fast and although it was beaten by a Camaro at the last race she is a hell of a Mopar and I’m looking forward to see more of it at the strip.